Krill oil is a uniquely safe source of marine essential fatty acids, sourced from the billions of crustaceans swimming around in our icy cold oceans. But there are a few things you need to know about krill oil when using it with other foods and supplements, that may cause you to think twice about taking it! Is Krill Oil Safer Than Either Fish oil? Krill oil contains both the cell-protecting DHA (Docosahexaenoic acid) provided by microalgae and the anti-inflammatory EPA (Eicosapentaenoic acid), that is only found in omega-3 oils of animal origin. The DHA in microalgae can lower your triglycerides, but also raise your (bad) LDL cholesterol. The DHA in krill oil and fish oil lower your triglycerides without raising your LDL levels. But, the essential fatty acids in fish oil are inherently unstable, subject to transformation into unhealthy oxidized forms. This doesn't happen with krill oil. 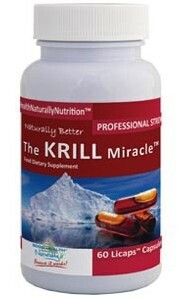 Because krill oil contains the EPA that microalgae oil does not, it has many positives in daily living. It is useful for fighting excessive inflammation after gym workouts, and any other form of vigorous workouts. It can help you control your appetite and help you to lose weight. And it also reduces the bloodstream concentration of artery-clogging triglycerides, and relaxes the muscles which line your blood vessels which reduces blood pressure. And because krill oil contains the antioxidant astaxanthin that most brands of fish oil do not (although a few brands add it back in), it is uniquely cardio-protective. It prevents attacks by free radicals of oxygen on cholesterol that transform it into its artery-clogging form. 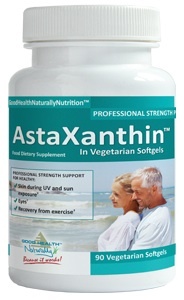 And when arteries have already been damaged by atherosclerosis, a daily dose of astaxanthin helps the tissues they survive longer under low-oxygen conditions. You pay less for krill oil than you do for oil from microalgae, and krill gives you the EPA microalgae does not. You pay more for krill oil than for fish oil, but you get a product that is fresher, closer to natural sources of omega-3's, which is packaged with care. There are a few things you need to know about omega-3 products, that manufacturers usually don't tell you on the supplement bottles. Here are the basic rules for using krill oil, or any other source of concentrated omega-3 essential fatty acids to make sure you avoid any potential side effects. Alcohol and omega-3's should not be taken at the same time, and it is also not a good idea to consume alcohol before or after a meal of cold-water fish, either. When you drink alcohol, your liver detoxifies it. One of the byproducts of the detoxification of alcohol called acetaldehyde, however, can destroy DHA and transform EPA into a form that's actually toxic. Just wait a few hours after drinking alcohol to take krill oil or eat cold-water fish. It is never a good idea to wash down your krill oil capsules with a soft drink sweetened with high-fructose corn syrup. The problem is the stress on your liver. During the digestion process, fructose (which is fruit sugar) is transported directly to the liver, which only has the capacity to process about 25 grams, the equivalent of 100 calories of the sweetener in an entire day. When the liver is busy processing fructose from desserts, soft drinks, fruit, or fruit juice (although the equivalent of one piece of fruit or one cup of fruit juice per meal is usually OK), it can't process omega-3's. And then these essential fatty acids are burned as fat, rather than used to make helpful hormones. So if you are eating a lot of fruit or fruit-based deserts, you need to consider reducing these if you are going to take krill oil. It is especially important to avoid microalgae products if you take cod liver oil or a vitamin A supplement. Vitamin A, which is usually identified as retinol or retinyl palmitate, and cod liver oil, which is naturally high in both vitamin A and vitamin D, have an unusual side effect when combined with the omega-3 essential fatty acid DHA. This combination of nutrients makes DHA not just healthy for normal cells, but also highly nutritious for cancer cells. It is exactly what a tumor needs to trigger the process of angiogenesis, the production of new blood vessels, that provide it with oxygen and nutrients as well as a pathway to spread throughout the body. DHA is the major form of omega-3 found in microalgae, but it is just a small percentage of the total omega-3 in krill oil. What Vitamins Are Compatible With Krill Oil? Be sure to take vitamin C, vitamin B5, and niacin. You only need to prevent deficiency to help the omega-3's in krill oil work it's magic for you. Don't take more than 6500 mg of omega-3's (about 15,000 mg of fish or krill oil) in a day. Even with omega-3's, it is possible to get too much of a good thing. At about 6500 mg of DHA and EPA daily, the liver can't process all the omega-3, and it circulates in the bloodstream, where it can be attacked by oxygen. 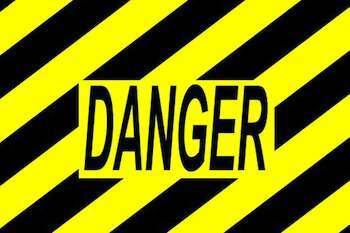 In turn, the encounter with oxygen turns DHA and EPA into forms that can transform cholesterol into dangerous forms. Scientific study has found that krill oil is more stable than both fish oil or microalgae oil, even when it is taken in excess. All the potential side effects of krill oil are also found in microalgae and fish oil, and krill oil is safer than other sources of omega-3's. But there is one more advantage of krill oil that has to do with the way it is harvested. And they are processed while they are still fresh! Microalgae, we have to admit, are harvested fresh too, since they are typically grown in giant tanks indoors. The production of microalgae is not exactly natural, but it is at least sanitary. But with fish oil, sometimes you'll get a high-quality product, and sometimes you won't, depending on whether the fish were caught in tropical waters or cold waters. And whether they were processed right away, put into cold storage while still in the ship, or they were transported without refrigeration. Which could be for hours, or up to a week or two, before they arrived at the oil extract facility, also means that getting a quality fish oil product is not always guaranteed. That's another positive for krill oil. It holds so much power for the human body, it can even improve the fertility in (men and) women, often ending with a bouncing baby! The only thing you really have to remember about krill oil, is that it works exceptionally well, so it isn't necessary to take more and more. The recommended dosage of krill oil is optimal for health, and as long as you don't take too much, the health benefits of krill oil should not be ignored.